As the Andes divide Peru into 3 different altitudinal regions, the country gets divided into 3 different climate zones: Coast, Andes and Amazon. As the Andes forces the air to rise and shed its humidity. However, at a micro detail, there are more climate zones, such as the permanent polar conditions on the snow-capped mountains, high elevation deserts in some valleys in the Andes, a fog humidified area surrounded by the coastal desert etc. The climates & Weather of Peru in the different macro regions may be totally independent from each other, as the statistics beneath clearly show. 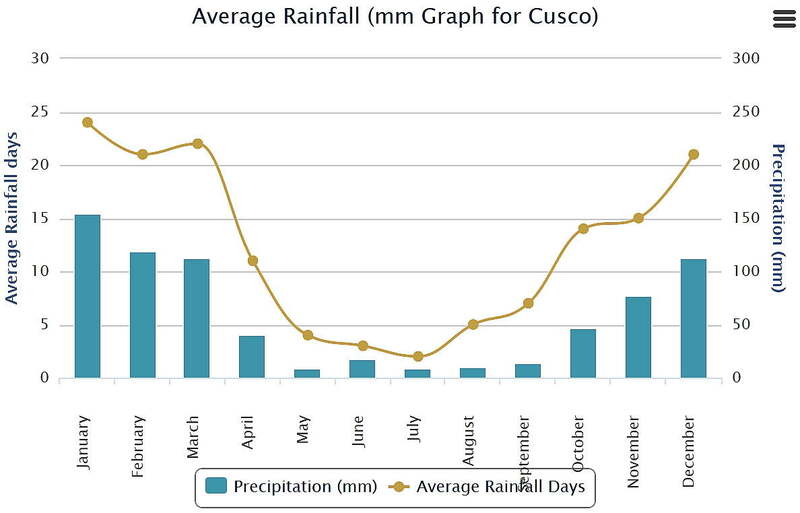 CLIMATE ON THE COAST OF PERU: INFO ON WEATHER & SEASONS. Graphs: hours of sunshine, overcast, rainfall, temperatures, etc. The climatic conditions along the coast gradually change from semi desert or arid at the border with Ecuador to one of the driest desert climates in the world in the center and south, even though some variations occur, either to still drier conditions or to more humid conditions due to intense fog formation caused by the Humboldt current. In Capital Lima, rain is rare, even though half of the year, the sky is overcast. During the winter on the southern Hemisphere, from June to October, the temperature may barely reach 20 �C, the sky is overcast and a morning fog or drizzle may bring some precipitation, while humidity is high. In summer, from December to April, the weather often is a bit sunnier but it may still be cloudy; temperatures may get as high as 29 �C. Night temperatures vary from 14 �C in winter to 20 �C in summer. Like anywhere else on the coast of Peru, the climate gets seriously disrupted during El Ni�o years, when currents from the North bring considerable warmer water to the coast. Air temperatures rise considerably and heavy rains wreak havoc on the desert environments. Rivers, however flow down from the Andes highlands, thereby bringing water for irrigation, and everywhere around river beds along the coast, one finds irrigated systems and highly productive farms in spite of the desert nature of the climate on the coast of Peru. The climate in the city of Nazca is even dryer that that of Lima; many days start out being overcast, but then, the skies often clear up by 9:00hrs in the morning, which is important for the flights over the Nazca lines. Closer to the coast however, in the San Fernando National Reserve, the weather is often very windy and frequently rather chilly. So, bring a jacket. An important element of the climate at the coast of Peru, is that the sea water never gets tropically warm due to the Humboldt current, while during long periods of the year the weather does not get very hot either, as the sky is overcast with a deck of clouds from which it rarely rains. CLIMATE OF THE PERUVIAN ANDES. INFO ON WEATHER & SEASONS. Graphs: hours of sunshine, overcast, rainfall, temperatures, etc. In the Andes, he climate varies with the elevations, but in general, the weather in the high Andes, also called Altiplano or Puna is cold. As elevations vary, it is not possible to give temperature data for the entire region. In general, temperatures decrease 0.6 �C per 100 m, while precipitation will increase. In general, rainfall on the Altiplano also increases from the coast to the Amazon. The winter is from May to September with low precipitation and often sunny skies. 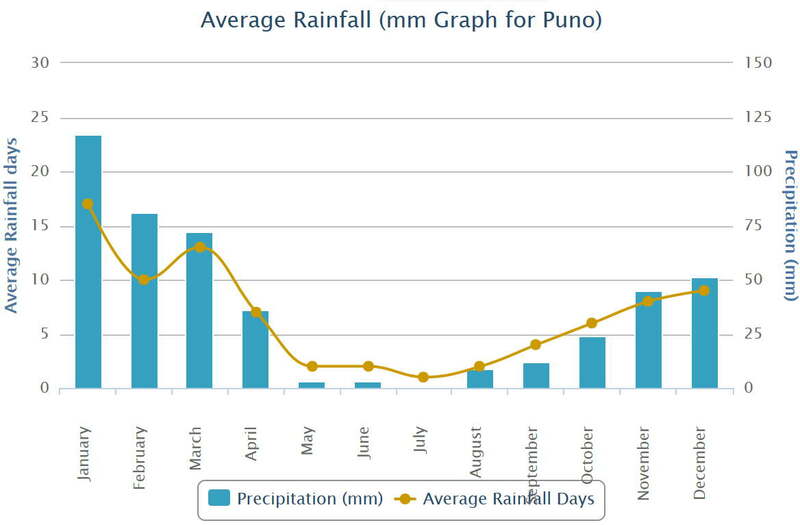 The rainy season, with overcast skies, are from December through March. During the summer, average temperatures may not rise all that much, but on a sunny day, it may still feel rather warm, depending also on the elevation. UV is brutal in the high Andes, so always use sunblock. CLIMATE OF LAKE TITICACA: INFO ON SEASONS & WEATHER. Graphs: hours of sunshine, overcast, rainfall, temperatures, etc. 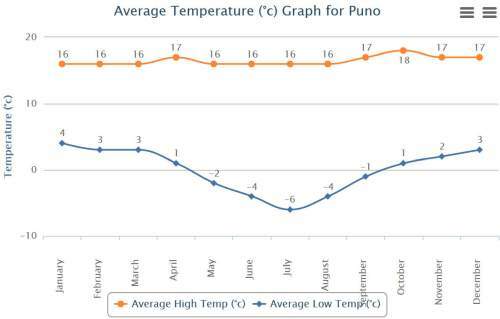 The data of the climate of Lake Titicaca and Puno come from Juliaca Airport which lies at about the same elevation and 30km away. It is indicative of the Puna, or altiplano regions, although on the altiplano temperatures and rainfall vary with the elevation. Rainfall on the altiplano also varies with its west dryer - east wetter position, due to the effects of the Humboldt current. The climate of Lake Titicaca is chilly, often with temperatures below 0 �C at night while rarely reaching comfortable temperatures in daytime. One should always have a sweater and a jacket at hand, as the temperatures my drop in minutes when a cloud moves in. The larger towns in the Andes are not really at the altiplano but a bit lower, with Cusco and Arequipa being the largest Andes towns. CLIMATE IN CUSCO, PERU. INFO ON WEATHER & SEASONS. Graphs: hours of sunshine, overcast, rainfall, temperatures, etc. 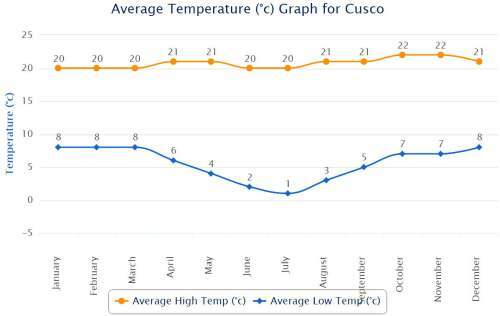 Cusco, located on the Southern hemisphere, has its winter from May to August, which is the dry season with blue skies and cold night, often falling to the freezing point. The winter, from December to March, is the wet season, when skies are often overcast, particularly in the afternoons. 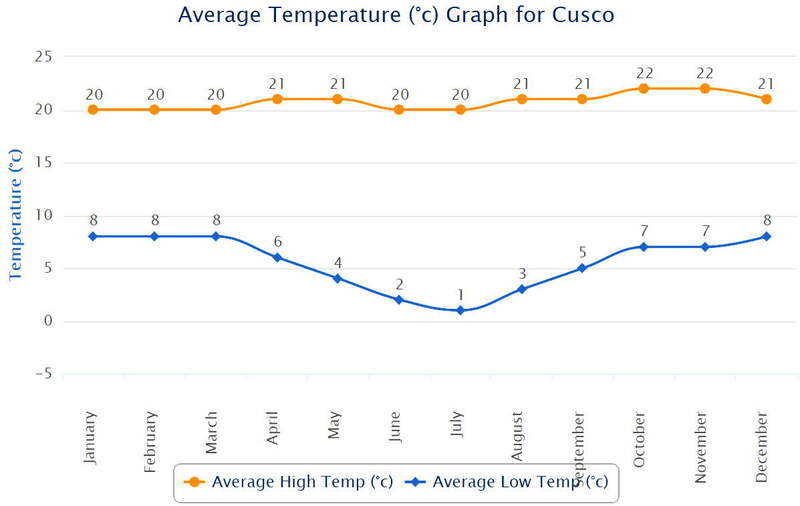 Day temperature vary little in Cusco, making the Cusco climate mild and comfortable. Machu Picchu lies at an elevation around 2400m, on the Amazon side of the Andes. As a result, it has a much warmer and wetter climate than Cusco. Even though average high temperatures don't seem to vary all that much, when the sun shines it will certainly feel quite hot. The hours of sunshine in these data seem rather optimistic for the rainy season. Arequipa lies at an elevation of around 2300 m, but at the coastal flanks of the Andes. As a result, the temperatures are lower than for instance at Machu Picchu, which lies at about the same elevation and the rainfall is considerably lower, while the dry season lasts much longer. These different weather stations give an impression of the climate of the Peruvian Andes. 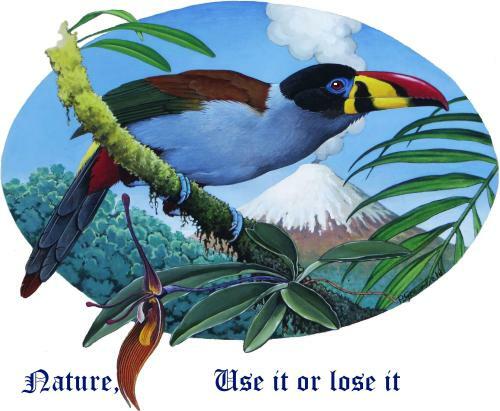 CLIMATE IN THE AMAZON OF PERU: INFO ON WEATHER & SEASONS. Graphs: hours of sunshine, overcast, rainfall, temperatures, etc. The climate of Puerto Maldonado is representative for the climate of the Amazon of Peru in de south, including for the lowlands of Manu National Park. However, as the Park ranges from 4000+m to about 200m, one cannot really speak about "the climate of Manu". With an average temperature of 26 �C the climate of the lowlands is hot and humid, with August and September being the hottest. 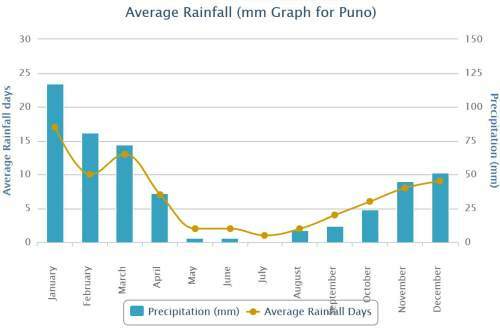 Annual precipitation exceeds 1,000 mm, with the rainiest season lasts from October to April. An interesting phenomenon, the surazo or friaje is a south-polar wind coming in from the mountains in the south, when temperature may drop to below 10 �C . The climate of the Amazon of Peru varies greatly with elevation, the distance from the equator and how far east of the Andes one is located.